Italian rocket scientist Flavia Tata Nardini believes we are fast moving towards a world where everything from fridges to forests will be connected to the internet. Her startup, Fleet Space Technologies, is in the process of deploying hundreds of nanosatellites worldwide to connect every part of the planet. 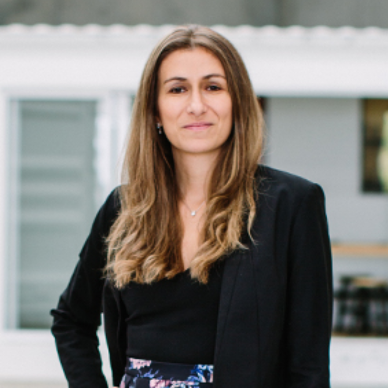 When 75 billion devices around the world become connected to the internet within the next few years, rocket scientist Flavia Tata Nardini will be at the forefront. Her Adelaide-based start-up Fleet Space Technologies is developing innovative satellite technology to enable the Internet of Things (IoT) and transform industries such as agriculture, logistics and mining. Fleet’s shoebox-sized nanosatellites can be produced at a fraction of the cost of traditional satellites, making connectivity accessible to everyone. IoT, a new era of low-data communication between objects using sensors, has been dubbed the Fourth Industrial Revolution. “We’ve seen the Third Industrial Revolution already. That was connecting people through the digital age with things like smartphones and the internet,” says Tata Nardini. Now, she says, we’re living through an entirely new revolution of connecting things, everything from cars to buildings, from vineyards to oil rigs. The potential for positive change on an international scale is enormous. It means, for example, farmers may not need to spend hours every day travelling around their vast properties checking on feed, infrastructure and animals. Instead, they’ll be able to monitor everything from an app on their smartphone. There’s huge potential, too, for mining and energy industries, from monitoring data from internet-connected trees in the forest, to assessing air and water quality. Tata Nardini says the opportunities are endless. “Realistically,” she says, “we have to embrace this because there’s rapid population growth in our world. “At the very least, we need to improve efficiency in food and water because the world’s population is due to reach almost 10 billion people by 2050. “We know that nowadays we can’t improve efficiency without measuring data… this is how the IoT can help us – through measuring outcomes,” says Tata Nardini. This is where her background as a rocket scientist comes in. Fleet is creating what she calls a “digital nervous system” in space. Within the next few years, they’ll have deployed hundreds of tiny nanosatellites around the world, to enable every part of the planet to be connected to the internet. This improved connectivity will transform how businesses connect and gather vital information from IoT devices. It has considerable potential, from measuring the effect of climate change in remote areas such as the Amazon to improving food production in Africa. “It’s hard for people to get their head around,” says Tata Nardini. Although, some are already on board: Fleet has signed a partnership with the French space agency CNES, to track and support its satellites, and has attracted financial backing from key investors in Australia and abroad, including Blackbird Ventures and Atlassian co-CEO Mike Cannon-Brookes. Since launching in 2015, Fleet has experienced a meteoric rise in the space industry, thanks to the team’s persistence and hard work. Tata Nardini met her co-founders, engineer Dr Matthew Tetlow and serial entrepreneur Matt Pearson, through mutual friends after arriving in Australia four years ago. This is the second successful startup the trio have created. The first was a space education company called LaunchBox, which brought space into the small hands of a countless number of Australian school students. LaunchBox taught kids how to build 3D nano-satellites, launching them into the stratosphere with balloons and later recovering the satellites and analysing the data they had collected. “I didn’t launch any satellites when I was eight years old! Imagine the potential for these kids, you know?” says Tata Nardini. Indeed, before moving to Adelaide, the rocket scientist had never even been to Australia. She was born into a family of engineers in Rome and grew up with dreams of becoming an astronaut. She loved space, she says, and realised as a teenager that her ticket to space was through engineering. Tata Nardini studied a Bachelor in Aerospace Engineering and a Masters in Space Engineering at University La Sapienza. Then in her early-20s, she landed a job working on hand-sized CubeSats and rocket propulsion technology at the European Space Agency in The Netherlands. She went on to work for the Dutch company TNO in The Netherlands and then on to Qatar where she ended up managing a project to get nanosatellites into deep space. In 2012, she moved to Adelaide to be with her Australian partner, now her husband. When Tata Nardini moved to Australia, there was just one space startup company. Now, there are more than 60 around the country and South Australia is a burgeoning ecosystem for space innovation. In September, the State Government announced the new South Australian Space Industry Centre, which will fuel space industry innovation, support startups and create high-tech jobs. Tata Nardini is proud to be contributing to Australia’s growing space ecosystem, with Fleet already hiring about 20 staff as well as opening offices abroad in California and The Netherlands. “Having our head office in Adelaide is fantastic because we’ve managed to hire the best brains around. Universities in Australia have excellent talent and we’ve got these great people working for us – it’s really a joy,” she says. The team has momentarily paused its LaunchBox education program because of Fleet’s rapid growth, but Tata Nardini is adamant they’ll re-start it soon.